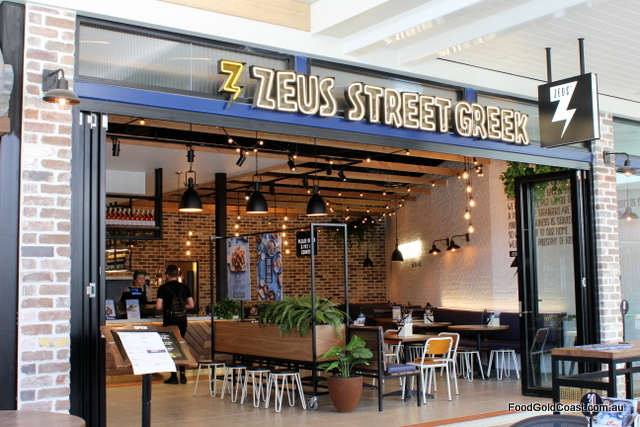 In a flurry of excitement for those who love all things Greek, Zeus Street Greek has just opened in the newly renovated ‘Harbour Town Eats’, their second Gold Coast store, the fifth in Queensland. 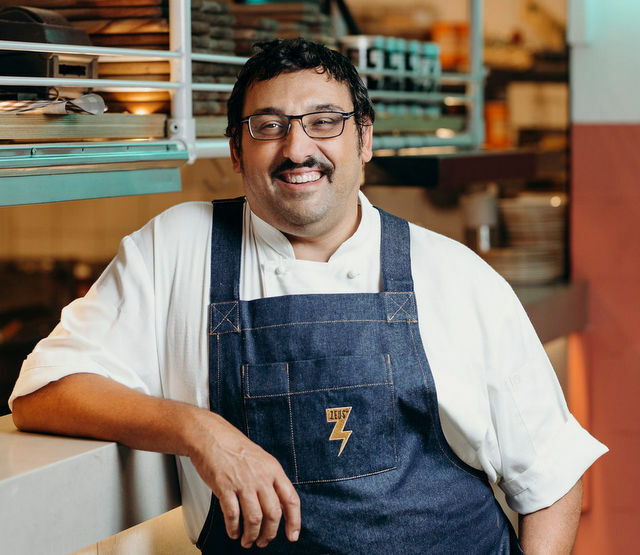 With Chef David Tsirekas (ex-1821, Xanthi and Perama) overseeing the menu development, Zeus Street Greek offers a modern take on traditional Greek food, giving it an Australian twist. Hailed as a ‘Greek hero’, Tsirekas is well known for his inventive dishes such as Greek San Choi Bau, Wild Weed Pie and Pork Belly Baklava featuring on his menus. Tsirekas says that he attempts in his cooking to portray elements of Greece through the ages. His reading of ancient literary texts to help build the picture of where Greek cuisine came from, what path it has travelled and how it has evolved, is unique in the industry. We talked with him about his food philosophy and the challenge of creating dishes for a franchise group. What is Greek food to you? Greek food is a journey, much like Greece itself has had through history. In the Classical Age, Greeks ate completely different food to what they eat today. Then came the Byzantine Age that connected East and West. It was exotic and indulgent. The Ottoman Age brought Middle Eastern flavours and words into Greek cuisine. Then, from the 1900s, Greek emigration saw a ‘dumbing down’ of Greek food as migrants tried to fit into new lands. All through the last century, though, Greek restaurants have had two menus, one a ‘hidden menu’ of dishes for special guests. In this way, Greeks have kept their cuisine alive. My parents came to Australia because Dad had a job on the Snowy Scheme. They arrived with nothing – just a suitcase and Mum’s filo rolling pin. (She didn’t know whether she’d be able to buy one in Australia.) They assimilated very quickly, trying to fit in rather than maintaining their Greek identity. There wasn’t a big ethnic community in the ‘70s and ‘80s. When I was growing up and working as a swimming coach, I didn’t really appreciate my parents’ cooking. But every Easter we ate traditional food. Easter is a big celebration for Greeks. It wasn’t until I began cooking myself and delved more into it that I came to understand Greek food more. For me, food became a way to connect back to culture. 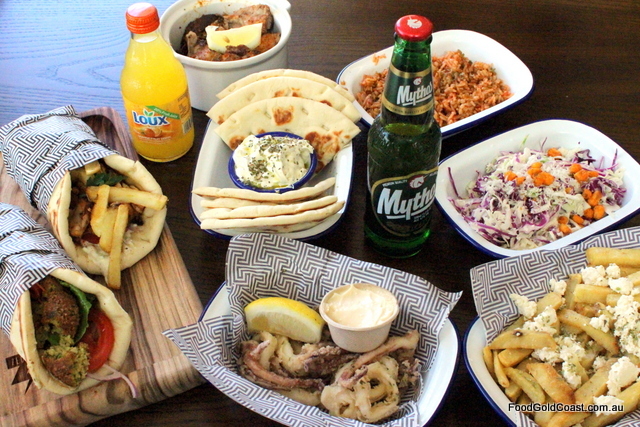 What do the old Niagara cafés of Australia have to teach us about Greek food and Greek life? In the first place, Greek cafés provided food for everyone when no one else wanted to. They fed the people and did what it took to make people happy. There’s a generosity in Greeks, a wish to spoil people. Everyone else comes first rather than yourself. Food is giving back. It’s feeding the soul through the stomach. There’s an immediate response. When you cook for people, you can see the satisfaction on their faces immediately. Family first, then friends, then the community… That’s who we are. 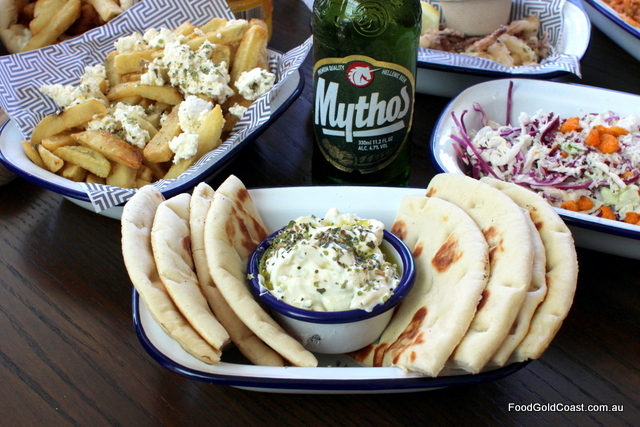 That’s what Greek food is: love, generosity, nurturing and comfort. My parents used to use food as a tool to bring love and joy to others. They cooked for family, guests and neighbours. Mum used to make two Sunday roasts – one for us and one for the neighbours. Same thing every week. I’m involved in the ‘Week of Tastes’ program run by Helen Campbell where we visit schools in rural areas of Australia and teach kids how to cook. I want to do more of that, giving back, visiting small outback towns and try to make a difference. You’ve had a range of culinary experiences, from restaurant owner and Executive Chef to consulting chef, taking ‘mod Greek’ to the US. Why consult to a restaurant franchise? What strengths does this model of dining have that attracts you? I want to sow the seed, to lift the game of fast food. I envisage thirty stores, all part of a family but each one with the local feel of an area and a personality of its own, eager to give people a personal dining experience. I am invested in Zeus. In a way, each store is an extension of my own home, with my own personality in it. 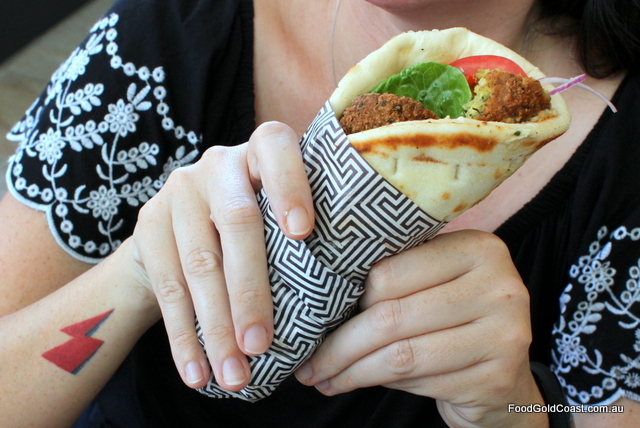 With Greek food, these things go hand in hand. We speak of ‘philotimo’, the ability to love and honour everybody, giving all of yourself to other people. I would love to try and achieve that through a restaurant. Sometimes, it’s hard to do this in a fine dining restaurant, whereas Zeus draws diners from a broad demographic. As the group expands, is that quality control of product and presentation more difficult? 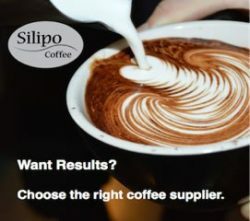 To achieve quality control, you have to be hands on in the store, by their side showing them, insisting on standards. We always learn from being beside someone who teaches us. I’ll continue to work with stores, conversing with staff and diners, building the standards of service, trying to get them to absorb some of my personality and spirit, helping them understand food as a story. 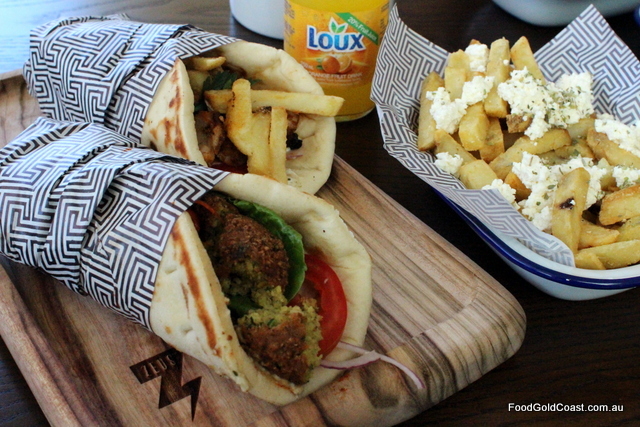 What does Zeus bring to the dining scene that is new? What’s its point of difference? Zeus brings quick efficient service and quality ingredients to the dining scene. We use the best feta, free range lamb, pork and chicken sourced locally. We are not skimping on value, using thoughtful processes and cuts to get the most flavour and quality from produce. We’ll continue to develop ingredients. Zeus is totally accessible to everyone. [Main meals range from $10 – $20.] It brings the Mediterranean diet to everyone, a balance of simple, flavoursome, nutritious food; a healthy way of eating that dates back through the centuries. Which dish on Zeus’ menu are you most proud of? Which one is a ‘Must Do’ dish? The proteins, such as the lamb and chicken. I’d order one of those from the grill with tzatziki and salad. Dad always used a secret rub on the meat. He’d never let on what it was made of, but I’ve tried to replicate it and we use it on our meats. 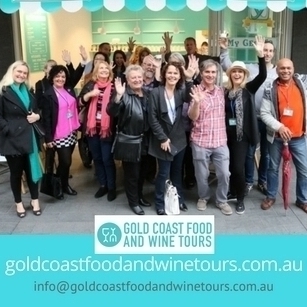 Are we likely to see your Pork Belly Baklava and Greek San Choi Bau on the Gold Coast anytime soon? 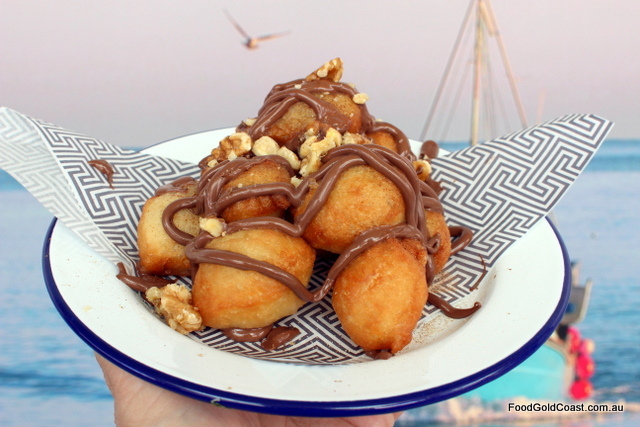 [Laughing] You’ll have to go to the Greek Club in Brisbane to try the Pork Belly Baklava. Next year, though, we plan to launch unique experiences at all Zeus stores. I’ll come in and do something special, like cook a lamb on the spit at the front of the store, or we’ll have a special menu for the week. There will be some exciting things happening to look forward to. 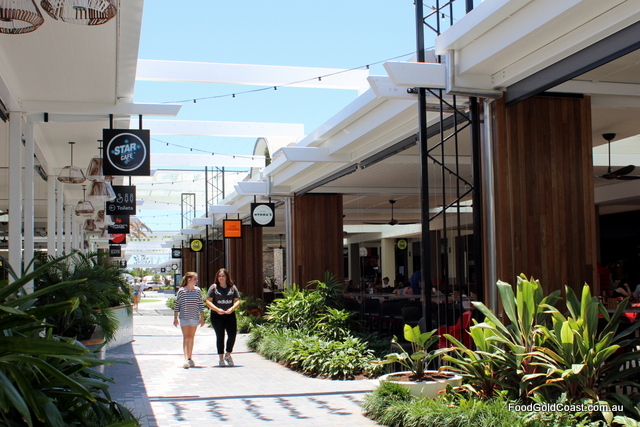 You’ll find Zeus Street Greek at Harbour Town Shopping Centre & Robina Town Centre. NOTE: A stock photo of Chef David Tsirekas has been used.